I’ve done photo challenges before and participating in them, taking a photo which encapsulates a daily theme, really makes you notice your surroundings. Whilst I loved the Photo A Day challenges, they did become a chore sometimes and some of the daily themes I found boring or not relevant. The beauty of 100 Happy Days is that there is no theme or word you’ve got to try and capture in a photo. There is no competition element whereby you hope your photo gets picked as one of the best of the day. This is about REALLY noticing daily snippets of joy. The little things that bring about true happiness in our lives. Apparently 71% of people don’t manage the 100 days. I’m really hoping to participate to the end and have an online account of just over three months of happiness. I practice gratitude every day and consider myself a very happy and content person. I’m hoping this challenge will lead to an even deeper appreciation of the wonderful people, circumstances and situations I am so blessed to experience each day. 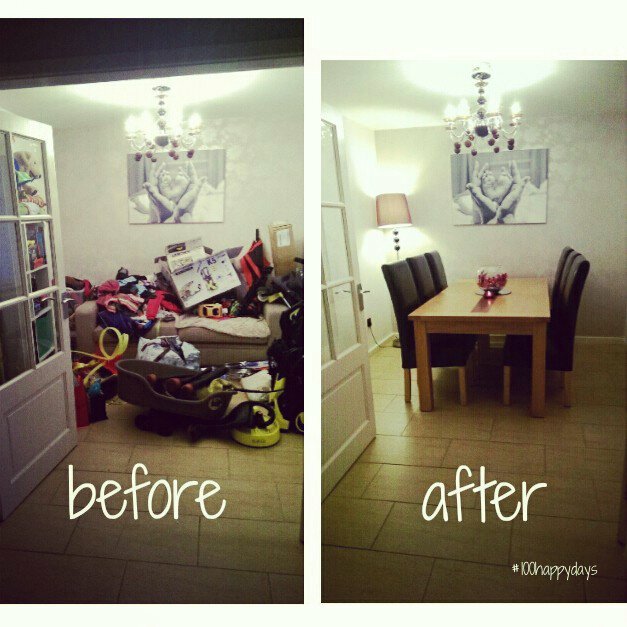 Day 1 – we have changed the dumping ground that was the playroom into our lovely dining room. It feels amazing to declutter our home. After a manic few months of heavy workloads and exciting family time on a weekend, we really neglected the house. Sorting through the clutter and a few trips to the tip was very cathartic and made me very happy! Day 2 – I have a love of reading which was most definitely instilled in childhood. 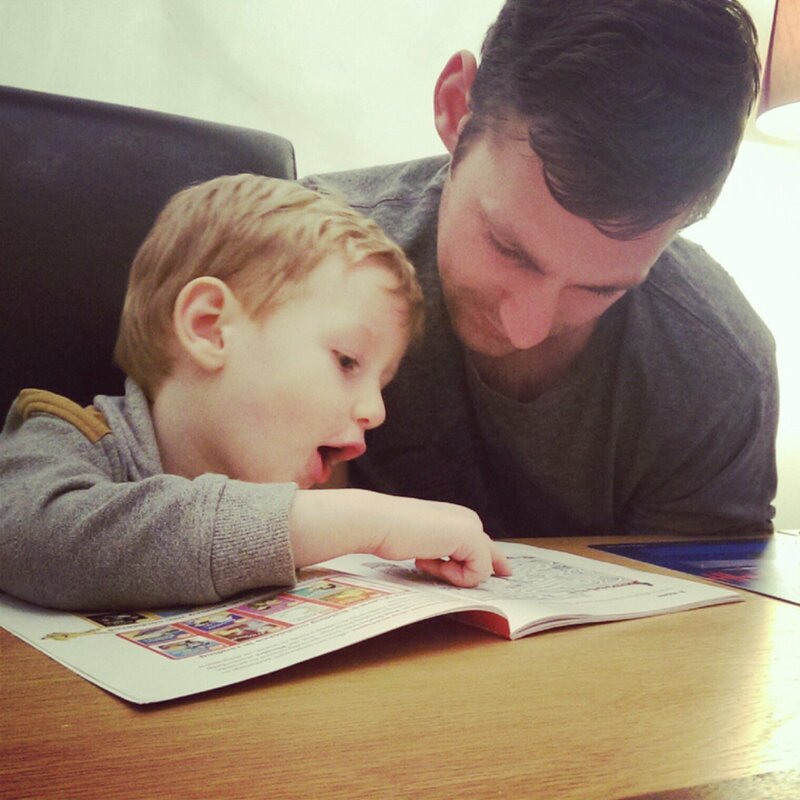 Shaun is not a bookworm, he hates reading books, so it really fills me with joy and happiness watching him read with Blake and helping his enthusiasm for learning. 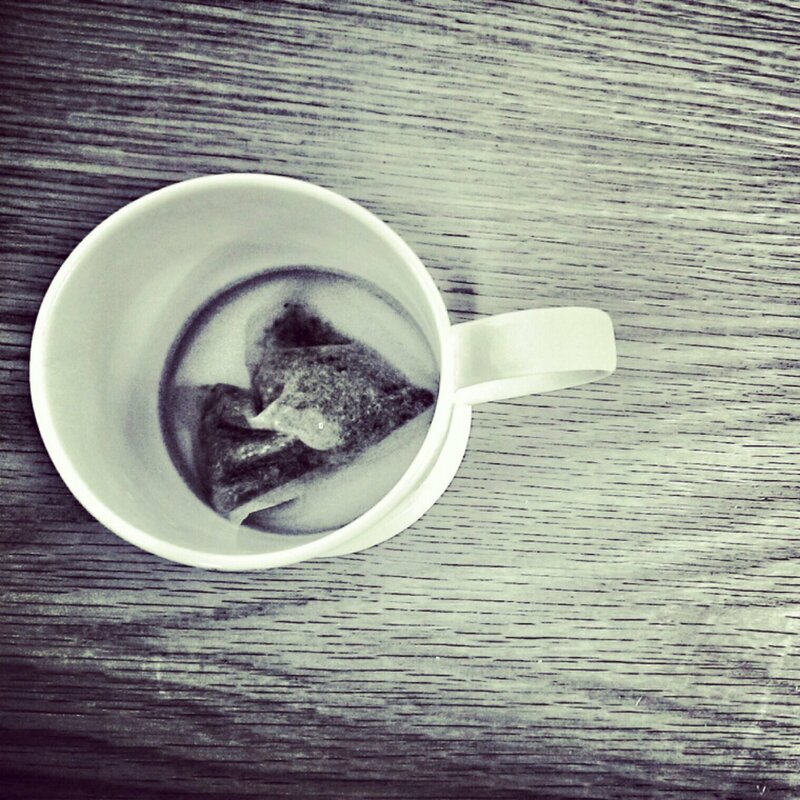 Day 3 – A cup of tea to warm the hands and soul on these cold winter days. Even better because my lovely friend at work made it for me. A gorgeous warming chamomile tea. Mmmmmm….